Technology and innovation have brought many benefits to the workplace and our lifestyles in general. However the offshoot is we have become much more sedentary, sat around for longer periods at office desks. This is often extended when we leave the office and relax at home in front of the television or home computer screens. Since the arrival of broadband increasing numbers do not even need to leave the house at all and can sit in their home office and work remotely. Unfortunately for those of us for which this sounds very familiar humans are designed to move and not sit around for the large part of the day. This lack of movement can be detrimental to productivity, fitness and physical and mental well-being. It can increase the risk of more chronic diseases such as heart disease and diabetes. However, once we have acknowledged this is a problem there are a range of ways in which it can be addressed. Companies are becoming more enlightened to health and fitness issues and the benefits to them of a healthy, happy and alert employee. From simple stretches through to desk treadmills employees can introduce more movement in to their working day to counter the sedentary nature of the office. First and foremost though they should address their posture when sat at a screen to help prevent back and neck issues. Even here occasionally standing up and stretching with arms raised is beneficial. With a desk treadmill technology gets the chance to reverse the sedentary lifestyle it has helped create. It is a simple but clever concept, adding the most used gym exercising equipment to the workplace environment. These treadmills are not meant for running but are sometimes known as walking treadmills and are fitted with a desk to place your computer of choice on. Instead of sitting while you wade through and answer three hours worth of emails or enter copious amounts of data to a spreadsheet, you can gently walk. On average people walk at 3 miles per hour, but by setting the treadmill to just two miles per hour you ensure movement and exercise while not working up an uncomfortable sweat. By standing you will elongate your spine, reducing the stress which can build up over long periods of seated inactivity, especially if your posture is bad when sat. Exercise is good for the mind and can act as a stress buster. Work can be a stressful place, but regular exercise releases endorphins which reduce anxiety and help boost your mood. Even low impact exercise like a gentle walk is still good for maintaining strong and healthy bones. Research has shown employees using a desk treadmill increased their productivity by improving mental performance and increasing attention to detail levels. Creativity levels also improve as exercise stimulates the brain and allows you to focus more on the task at hand, even if it is a plethora of dull spreadsheets. Overall there is a lot to be said for bringing one of the most popular elements of a gym in to the work place. This is an area where companies are becoming more enlightened and accepting. They recognise the potential benefits to the business of a fitter, mentally sharper employee who is not switching off by the early afternoon. Desk treadmills may take a little adjusting to as a concept for some in an office environment, but they can be used as part of an overall fitness strategy which is inclusive to all employees. The more employees who work out from their desk the more fun it can be. You can certainly feel a little self-conscious if you are the only one using a desk treadmill or exercising from your desk in other ways, so encouraging others to join in can create a positive team spirit for you all to feed off and be motivated from. Although a desk treadmill is a good way of working out while working there are many other simple exercises which can be done from your desk to retain movement and flexibility. Sit up straight in your chair and extend both arms above your head as if reaching for the sky. Hold for 10 seconds before further extending the left hand, then the right. Place your arms straight out wide and rotate your hands with thumbs pointing behind you. Pinch the shoulder blades by trying to move the hands further back behind you. Drop your head towards your shoulder and gently press down on it with your hand, holding for ten seconds. Switch and do the other shoulder. Frequently remember to shake and stretch out the wrists and hands to try and prevent carpal tunnel syndrome. Stand up from the desk with feet together and do 10 calf raises by simply easing yourself up from the toes. Improvise squats by standing up from your office chair and sitting back down, repeating 10 times. Stand up and place your hands on the desk in front of you and step back in order to perform 10 to 15 standing push-ups. Incorporate lunges in to your day, perhaps when walking down a corridor. As you walk gently lower the knee of the back leg until it nearly touches the floor. If the corridor is long enough you can try doing 10 of these at a time. Take 60 seconds to run on the spot, shadow box or some pretend rope skipping. If your office has stairs, head to them 5 or 6 times a day, taking them two at a time when you feel capable. Simple exercise in the office does not need any planning, just an awareness to make sure you do something across the day to offset the sedentary office job. In a busy office it may not always be or feel easy to do, but by explaining to fellow workers why you are suddenly doing calf raises you will make them aware of the importance and hopefully have them taking part too. Exercise of course does not need to be something set aside from the normal day to day working activities. 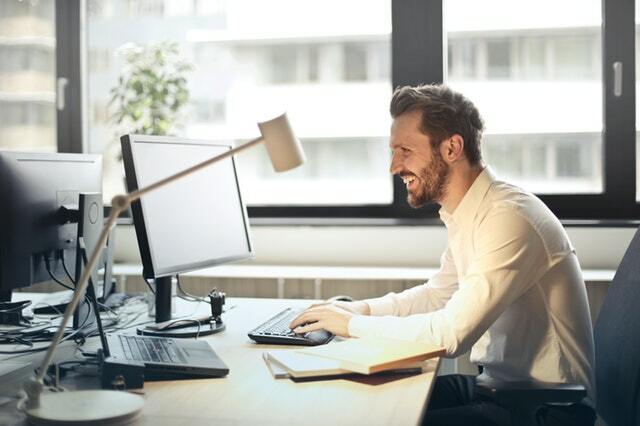 There are plenty of opportunities across the day from the commute to how you perform everyday office tasks where you can tweak your habits to aid your fitness levels. Park further from the office or get off a couple of bus stops early to add some extra walking in to your day. Once at the office shun the elevator and head for the stairs. The longer you do this the easier it should become. Instead of emailing or phoning a co-worker in the same building walk over to see them. Similarly do not let an assistant constantly do the coffee run, go and fetch your own refreshments. These are all easy tweaks which do not take any planning but can have benefits over time. If you get the walking bug why not head out for a stroll during your lunch break instead of remaining sat at your desk or in the canteen. We all recognise a sedentary lifestyle brings with it the increasing potential for serious health issues. We also often make excuses about our busy life not allowing us the time to do anything about it. Yet it is quite easy to sneak in some easy stretches and exercise across the working day. Desk treadmills are increasing in popularity too adding a new dimension to this issue. However you work out from your desk the physical and mental benefits will be felt by both you and your employer over time. Building a six-pack is a process. To achieve the desired results fast, you need to understand the process itself. First and foremost, lose the weight as you have to be sufficiently lean for your abs to show beneath your skin. Second, develop the abs through exercise and diet. Finally, to maintain the abs you will need to have a nutrition plan you will be able to work with in a long term. To decrease your overall body fat, you need to ditch specific foods high in sugar and calories. Avoid junk foods, processed carb, fast foods and soft drinks. It is noteworthy that if you have a lot of body fat, it will be a gradual process. Drastically cutting down on calories can inadvertently harm you. Vegetables e.g. broccoli, spinach, kales, Brussels sprouts, peas, carrots, etc. vegetables contain healthy antioxidants which protects the body and cells from damage. While maintaining a healthy eating habit and the proper nutrition, you can concentrate on an exercise routine to develop six-pack abs. The external obliques – it’s the outermost layer of the abs on the side. They run diagonally downwards. These muscles work to flex the spine and compress the abdominal wall/ increase inter abdominal pressure. They also aid the back muscles in rotating the trunk and flexing laterally. The internal obliques – these muscles are underneath the external obliques. They run diagonally up the side. They assist in the rotation of the trunk and flexing laterally. Transverse abdominis – they compress the abdominal content which aids in core stability. Rectus abdominis – it is the six-pack itself. Rectus abdominis muscles paired abdominal muscles which connect vertically. It enables the curvature of the lower spine and the tilting of the pelvis. They run from the bottom of the ribs to the top of the pelvis. For efficiency with exercises, start with cardio vascular exercises to strengthen your heart, the cardiovascular system and lose fat. – Control your breathing, inhale in and out. Do not hold your breath. After the cardio you can now work on exercises which target the abs muscles. We will start with exercises that do not require any weights or equipment. – Lift both of your legs in a way they are inclined at a 30-degree angle with the floor. – This will automatically cause you to slightly bend, with your back forming an angle less than 90 degrees with the floor. – Hold your legs straight and tightly together in the starting position, lift them and bring them towards your face. – Move your right leg up and as you bring it down to the starting position, move the left leg up. – Facing the floor, support yourself with your palms. Hand should be perpendicular to the ground. We will now incorporate weight and some equipment to our routines to improve the intensity of the exercises. – As opposed to the rope crunch, the side crunch targets your external and internal obliques. You will arguably hear many discussions on whether crunches work to give you that six-pack abs or not. Some will say you should avoid doing the crunches all the same. But understanding where you go wrong when pulling out the move is the difference between the crunch being effective or not. When doing a sit up plank, always ensure your head bends forward towards the knees and not upwards towards the roof. Also do not stretch on your head with your hands. Relax the hands and focus your strength on the abdominal muscles. When you tilt towards the knees, to form a curvature, the top most part of the rectus abdominis is brought closer to the lower part. The shortening of this distance gives a greater contraction to the muscle, tightening the core and thus achieving great results. When doing the hanging knee raise, do not assume a standing position as your starting point. Lifting your legs from a standing position uses more of your hip flexes muscles other than the abdominal muscles. This movement makes the hip flexes tight and pressure applied between the hip flexes and the lower part of your spine will give you back aches. When doing the reverse crunches, maximise on bringing your legs towards your head as opposed to towards the roof. When doing the rope crunches, do not bend the whole of your upper body (i.e. from your shoulders to the pelvis). As you do this, you will notice that there is absolutely no movement on the rectus abdominis muscle. Always ensure there is contraction between the stratum to the belly button. When doing the abs wheel crunch, do not hold your hips in a stiff position. Some people will hold the bar out with their thighs perpendicular to the ground and only engage the upper body in movement. Well, this is wrong as you are not engaging the core which is our target. Ensure you move your hip, such that your whole body is parallel to the floor. Avoid rushing through your reps. Many reps won’t give you those six-pack abs, but the quality of the reps you do will. Go through each rep focusing on the muscle you are working on and aim to do the next rep better than the earlier. Have adequate rest in between sets. Do not settle for less but for the best. Most people already know that exercising on a regular basis is the best thing they can do for their bodies. However, it’s one thing to know what you should do and another to actually do it. A lot of people come up with various excuses to avoid working out, especially outdoors. It could be the foul weather, uneven road surfaces, lack of enough space for running, traffic pollution, unwanted attention, or dangerous neighbourhoods. That’s where treadmills come in. A treadmill is an ideal exercise option for everyone. This equipment comes with a range of features that beginners, intermediates, as well as advanced exercisers can use to achieve their fitness goals. Understanding the benefits of using treadmills for exercise will not only help you stay in shape but also make your workout sessions enjoyable. Running on a treadmill for just 20 minutes at 6mph can easily burn away 229 calories on average. And, you can burn even more by using the machine’s incline feature or following HIIT principles. Combining your 30 minutes daily workout sessions with a healthy diet will get you your ideal weight in no time. Being physically active also helps with mental wellness. Exercising causes the brain to release increased amounts of endorphins, which are chemical compounds in the brain responsible for making one happy. This goes without saying that using treadmills for exercise directly contributes to reduced amounts of stress, anxiety, and depression. It also boosts energy levels and helps you sleep better, improving your general mental health. Heart diseases are currently among the leading causes of death. Exercising regularly on a treadmill gives a great cardiovascular workout, which helps improve heart health. It strengthens your heart, improves blood circulation throughout the entire body, and helps reduce bad cholesterol while raising good cholesterol. Every time you run on hard surfaces, your legs take a lot of impacts. Eventually, this can lead to knee, back, and ankle problems, which can become severe as you age. Treadmills have relatively soft surfaces, even running platforms, plus, modern models come with shock absorption as well. This reduces impact, lowering joint pain and other aches. Generally, exercising on a treadmill works your lower body, including the leg muscles, gluteal muscles, calves, hips, and thighs. Treadmills come with built-in handles that allow you to add your upper body to your workout, helping you build and tone arm muscles as well. Exercising on a treadmill regularly will help build your ability to engage in physical activity over time. Shorter, high-speed workouts will build your capacity to do high-intensity exercise, whereas moderate-intensity walking helps build stamina and endurance. Regular running on a treadmill builds bone density, which refers to the number of minerals found in the bones that contribute to their durability and strength. A higher bone density helps you combat diseases like osteoporosis. Most people cite lack of time and the fact that exercising is not enjoyable as a reason why they lack physical activity in their life. Using a treadmill makes workouts more enjoyable. It allows you to do other things while working out. For instance, you can walk and at the same time read or watch TV. You can also listen to music during workouts, keeping them more interesting. Treadmills come with several features that keep you completely in control of your workout conditions with more accuracy. You are in control of your speed and incline levels, distance, time, warm up, and cool down. Depending on your fitness level, you are able to customize the workout to your liking and abilities. Treadmills come with digital monitors that show you important info like heart rate and calories burned. This helps you track your progress over time, which is important, especially if you are working towards a specific fitness goal. Most modern treadmills come with a variety of pre-programmed workouts. These workouts can challenge your speed and incline, making the entire session more challenging and less boring. What are the Advantages of Being Able to Exercise Using a Treadmill at Home? When it comes to exercise equipment, treadmills are among the easiest to use. They require virtually no effort to set up. Most of them will simply require you to press a few control panel buttons, choose the settings you want, and you are good to go. If you don’t understand the treadmill, don’t worry, it comes with instruction manuals that will make work easier for you. Running alone, especially during dark hours is less than ideal. Treadmills offer the same results you would get running outdoors but in a much secure environment, probably in the comfort of your home. They also come with some degree of shock absorption that reduces the impact of running. This reduces injuries while working out. Some people don’t like the unwanted attention that comes with exercising outdoors. If you are a self-conscious person, you can still workout regularly using a treadmill at home. Treadmills are an effective and convenient way to ensure you are staying active. They allow you to exercise in the comfort of your home whenever you want, which helps you to stay consistent. Plus, you have no excuse for not working out when outdoor elements are unfavourable. Consistency is mostly important for individuals with a specific fitness goal to achieve. Treadmills can make workouts feel less of an exercise as it allows you to do other things simultaneously. You can get your workout while watching TV, listening to music, reading, and taking coffee. This keeps exercising more interesting, which is important to achieve long-term physical activity. The University Of Maryland School Of Medicine and the Baltimore VA Medical Centre Parkinson’s exercise trial: The research studied participants walking on treadmills. The study found that low-intensity treadmill workout is ideal for improving mobility in people with Parkinson’s disease compared to high-intensity workouts. Scientists at Johns Hopkins: Research by these scientists show that treadmill exercise can retrain the body and brain of stroke victims. How Regularly Can a Treadmill Be Used? A treadmill is an effective tool for getting the recommended dose of cardiovascular workout. NHS recommends at least 150 minutes of moderate-intensity exercise on a weekly basis. This can be achieved by using a treadmill for 30 minutes daily, 5 days per week. You can also choose to do 75 minutes of vigorous-intensity exercise per week. 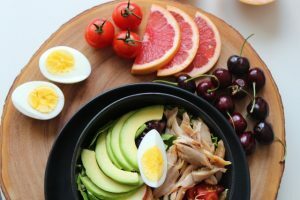 But, if you want to speed up weight loss or create a vigorously healthy body, then you should increase your exercise time to over 300 minutes per week. Depending on your fitness level, the number of times you use a treadmill can go up, so long as you reach the recommended exercise times. When deciding how regularly to use treadmills, pay attention to any signals your body is giving you. If you notice signs of dizziness, nausea, feeling light-headed, or pain of any kind, it’s better to reduce your intensity or stop working out altogether until the symptoms subside. If they become a regular problem, consult with your doctor. How are Treadmills Used by Individuals of Different Health and Fitness Levels? Cushioning: People who suffer from joint pain or have had an injury before should use treadmills with higher amounts of cushioning. Incline: Incline settings are ideal for more advanced runners. This feature allows your treadmill to mimic an uphill, downhill running experience. Plus it can be adjusted to fit different fitness levels. In-built workout programs: Treadmills come with a wide variety of pre-programmed workout programs that are suitable for different individuals with different health and fitness levels. Plus, these programs pose a real balance challenge for beginners. 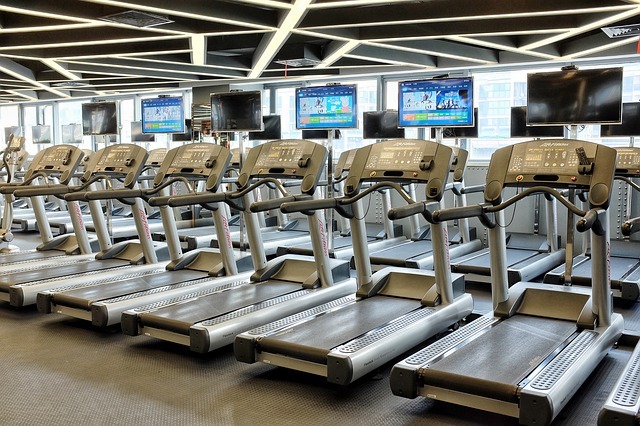 Control panel: Most modern treadmills come with elaborate training modes that allow you to preset specific incline and speed over certain time frames. More advanced options are even programmed with Google maps to allow you to set a route while the control panel automatically adjusts inclines. Control panels are good as they help different individuals track their fitness levels in different modes. Can treadmills also be used to Prepare for Other Forms of Exercise? Yes they can. Using treadmills for exercise is a great way to introduce variability into your workouts. Using the incline setting and the control panel can allow you to easily prepare for competitive events like ultra-long marathons. As we’ve seen earlier, treadmills help you lose weight, build upper and lower body muscles, improve stamina, and so much more. All these benefits allow you to engage in other forms of exercise with ease. So, your new piece of fitness equipment has arrived. It looked fantastic in the box, just as you had hoped. You’ve added the finishing touches and ensured that it’s stable. You’ve positioned it just where you wanted it, read the manual and you’re ready to go! But, what one minute! Before leaping on to your brand new treadmill, there’s a critical step that you simply can’t ignore: you need to warm-up. We’ll all probably familiar with the phrase warming-up, but what is a warm-up exactly? Put very simply, it’s a pre-session, to be undertaken prior to your main activity. During the warm-up, you’ll carry out some stretching exercises and some very light cardiovascular activity. Precisely what should I do? Many exercise sessions will involve rapid movements. By building up slowly, you’ll help to get your body in the best condition to avoid injuries. You may think that walking is itself a form of warming-up. If you play team sports, for example, then walking may be a part of your preparations. So why would you bother warming-up before stepping on to a treadmill? That’s certainly true, but there’s value in a short warm-up here too. Many treadmill users are looking to gain fitness and may be starting from a relatively low level. This can leave them more susceptible to injuries. Prior to an intense sporting activity, a 30-minute warm-up may be appropriate. When preparing for a treadmill session, a lighter warm-up is likely to be right for you. 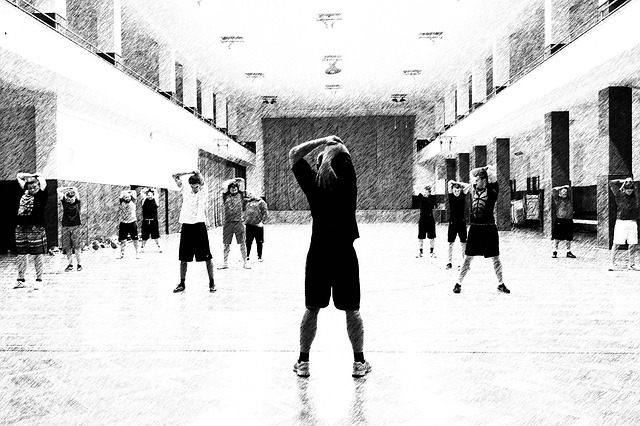 But just as warming-up helps avoid injuries during intensive sessions, so it can help here too. What if you feel pain? If you feel pain during your normal exercise routine, or as part of the warm-up, then this may indicate a wider problem. A great exercise session is designed to improve your overall levels of fitness, but it certainly shouldn’t ever put your body at risk. If you are suffering pain, then it’s always best to consult a medical professional.